Looking for “pool demolition near me”? 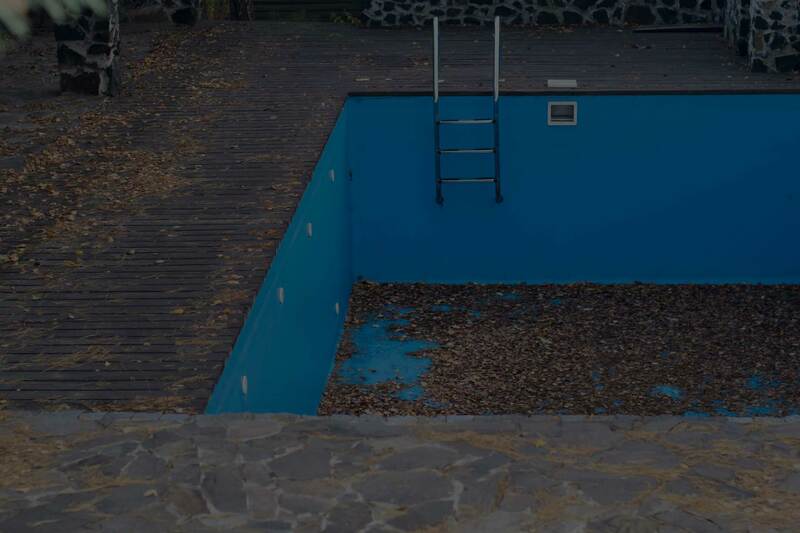 With over 40 years of experience in landscaping and demolition, we are the Bay Area’s choice for fast, safe, and effective swimming pool removal. Bay Area Pool Demolition handles 100% of the swimming pool demolition process, from permitting and inspecting to compacting and grading, so all you have to do is call. 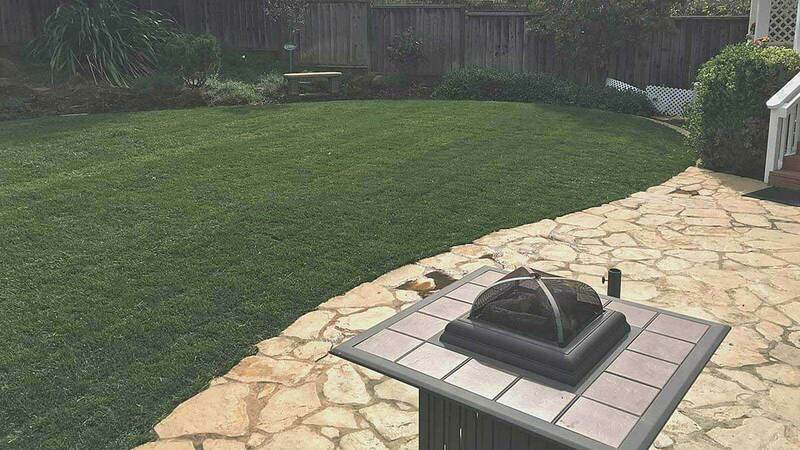 Our experience in the fields of landscaping and demolition makes us uniquely qualified to demolish your pool and replace it with new landscaping, seating, decking, or a patio. Our team is committed to responsible disposal and recycling of concrete, plaster, and all materials that are removed during the demolition process. 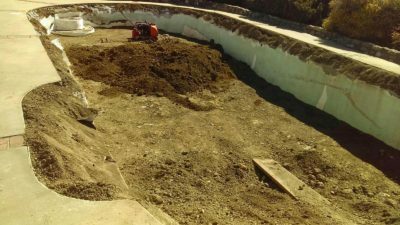 Removing a swimming pool can be a complex process. We strive to make the process as easy as possible with five star support and clear communication. How Much Does Owning a Swimming Pool Really Cost? Installing and maintaining a swimming pool can be an enormous expense. Many of our clients tell us that removing it was one of their best financial decisions. Why Remove a Swimming Pool? Pools can be dangerous, or even deadly, to children, pets, and the disabled. Pools generally take up a lot of space in your backyard. Pools require constant upkeep to maintain. If you’re selling your home, a swimming pool can drive some buyers away. Whatever the reason you have for wanting a pool removal, it’s important that you contact a professional to do the job. Pool removal is regulated by the State of California and must meet strict criteria to pass the demolition and fill inspection. Many fly-by-night companies and moonlighters offer pool removal services at cheaper rates than the professionals, but you will run into serious problems if you ever try to build on the land or sell your home in the future. How Much Does Swimming Pool Removal Cost? The size and shape of the pool. The depth of the pool. Whether it will be a full or partial removal. Local codes relating to material removal, debris handling, and fill requirements. While we can give you rough pricing over the phone, we’ll need to be on site to give you a more accurate estimate. Call today to schedule your free in-home estimate. How Does Pool Demolition Work? A pool demolition job begins with one of our team members visiting the site to assess the situation and bid the job. Our team member will give you a full consultation that covers the costs, requirements, and timeline of your pool removal. Once you have signed off on the job, work will begin. First, we will drain the pool to the sewer system or transport the contents in a liquid truck, if necessary. Then the entire shell of the pool has to be demoed and hauled to a disposal site. All electrical, water and sewer lines must be capped. All electric components, including the one on the breaker box, must be removed. Then the excavated hole must be backfilled with clean fill dirt. The top two feet should be filled with topsoil to accommodate new landscaping. Finally, the soil is compacted to provide a firm foundation and steady footing for new construction. 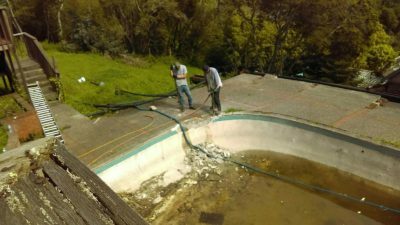 What is Partial Pool Demolition? While California building codes require full demolition if you plan to build a structure on your former pool, a partial pool demolition can save costs and is adequate for landscaping. For a partial pool demolition, 12 inches of gravel is laid to cover the bottom of the pool before the sides are demolished and mixed with clean fill dirt. All electrical, water, and sewer lines are capped, any electrical pool equipment is removed, and the dirt is compacted. Finally, the dirt is graded to provide solid footing that is suitable for landscaping or gardening. Partial pool demolition can help homeowners reduce the cost of a pool removal, but if you plan to sell your home in the next 3-5 years we strongly recommend a full demolition. Can You Remove My Pool? Do You Offer Pool Removal Landscaping? Absolutely. We work with landscape design and build experts to not just remove your swimming pool, but replace it. Involving landscape designers early in the pool demolition process means we can coordinate the timing, materials, and other variables to help your landscaping project stay on time and on budget. Yes. Each city sets their own price for permits, but in the Bay Area it typically costs $100-500 per permit. At Bay Area Pool Demolition, we will pull the permit for you, so all you have to do is sit back and reclaim you yard. There are some things you can do yourself around the house without running into major problems. There are even some things you can DIY badly and still not have a major nightmare on your hands. DIY pool removal is not either one of those things you should attempt because there are too many things that can go wrong. Preventing and identifying pool hazards is vital. Each year, 3,500 Americans drown in swimming pools, and another 4000 children are hospitalized for near-drowning events. Learning the risks is the first step towards keeping yourself and your family safe. Get a free on-site estimate for your pool removal today!